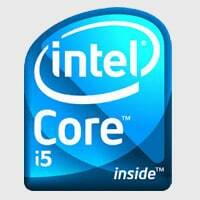 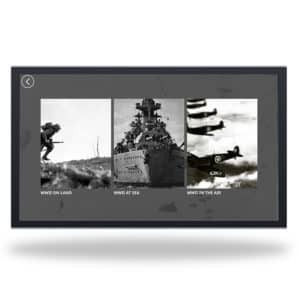 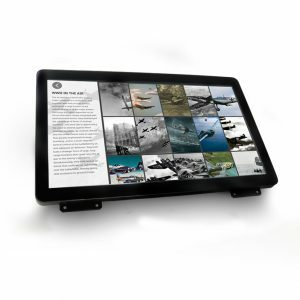 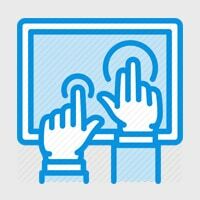 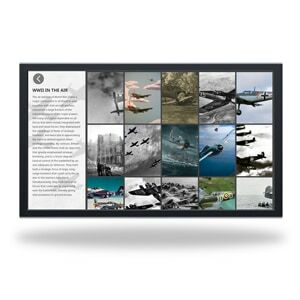 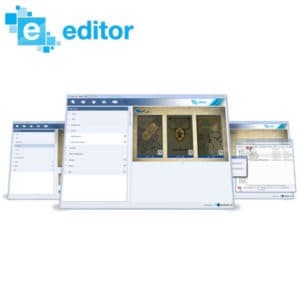 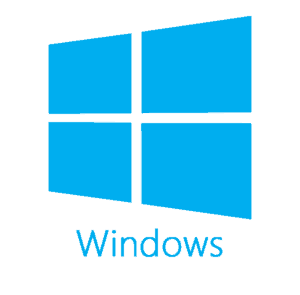 A modern 22″ All-In-One Touchscreen & PC solution – everything you need to run interactives in a single unit. 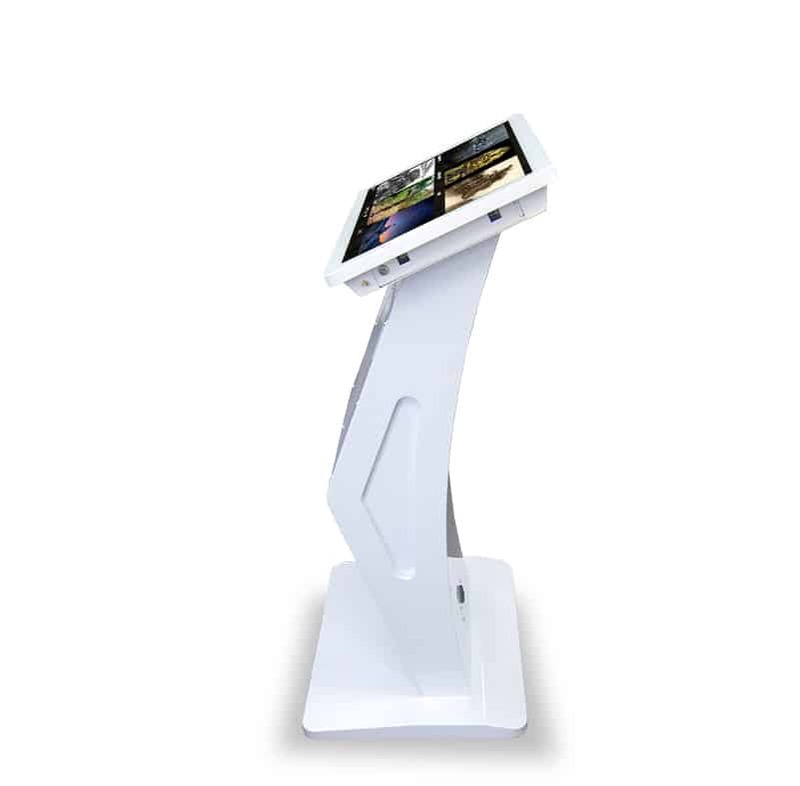 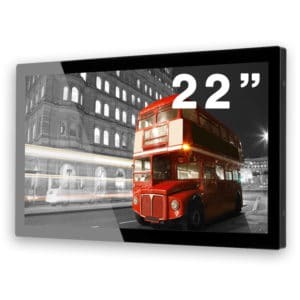 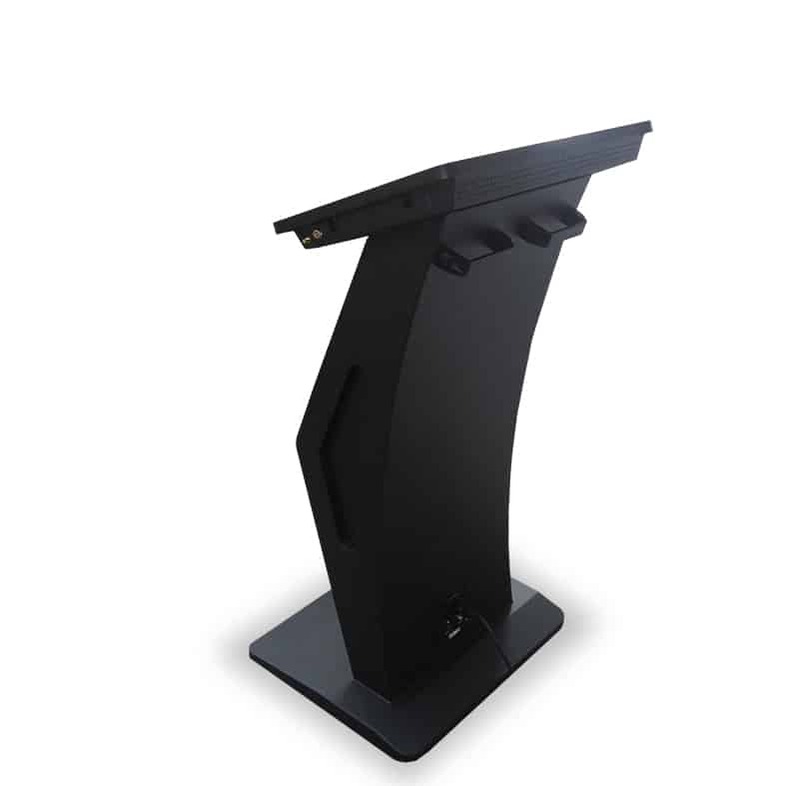 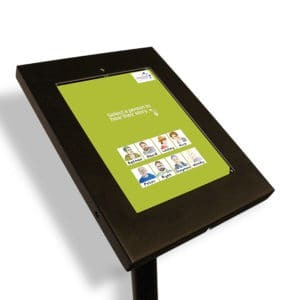 By combining precision touchscreen technology within a professional-grade 22″ LCD panel this kiosk is ideal for use in high traffic public access environments. 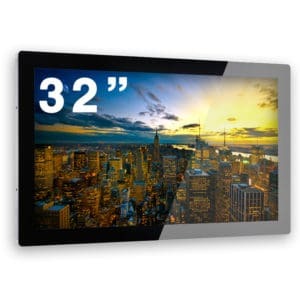 Utilising Capacitive touch technology to ensure reliability throughout extended use, the screen supports up to 10 touches and gesture controls. 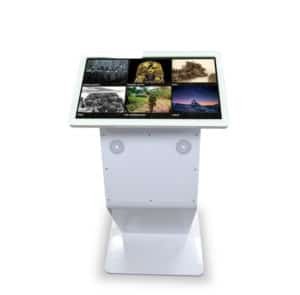 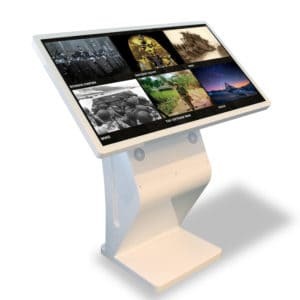 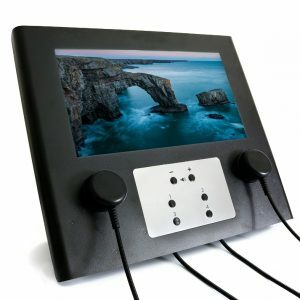 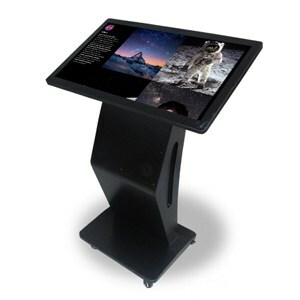 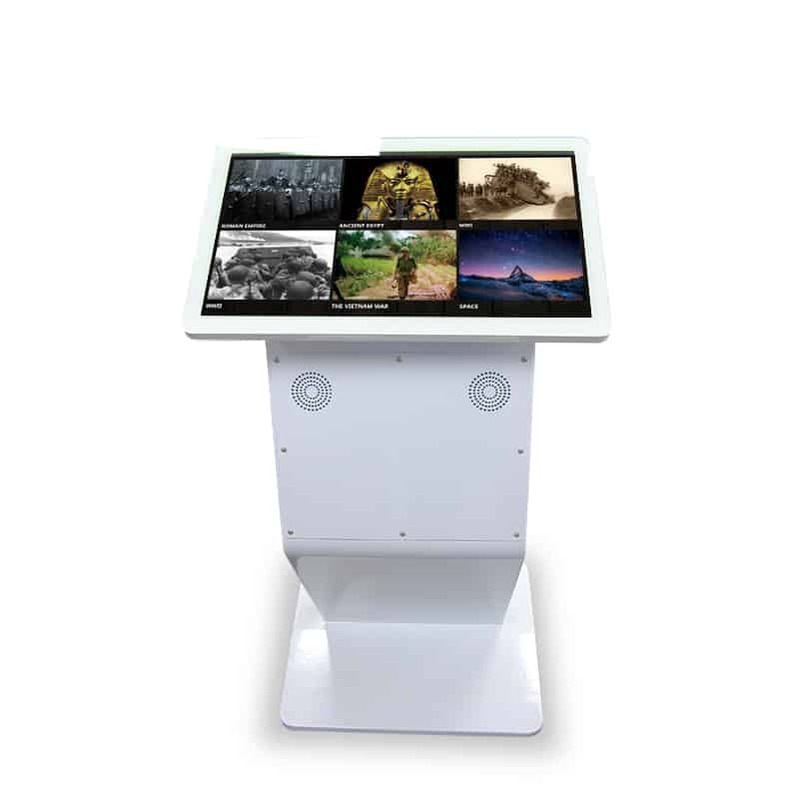 With a crystal clear screen and inbuilt speakers, our modern kiosk range is ideal for multi-media interactives. 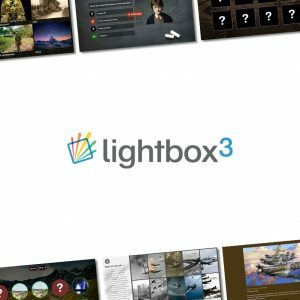 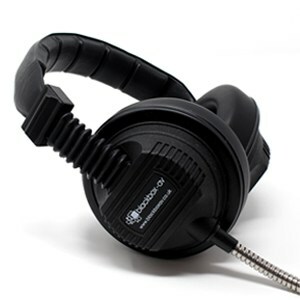 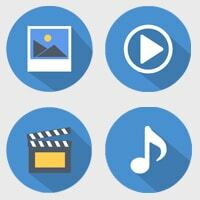 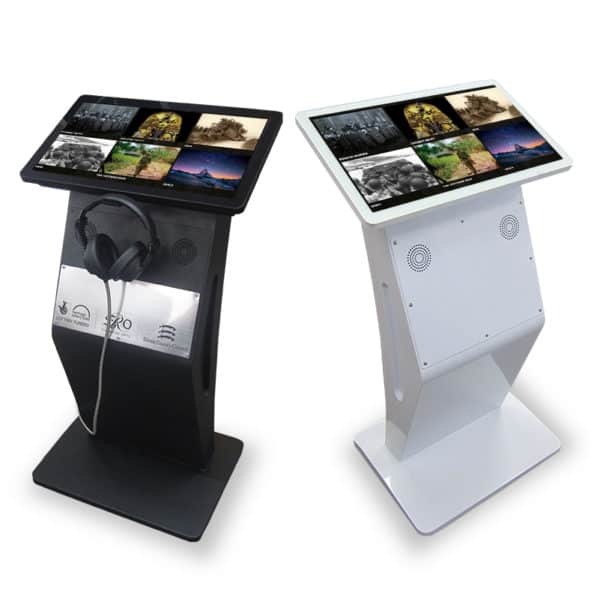 Educate and engage users with vibrant games, video and audio. 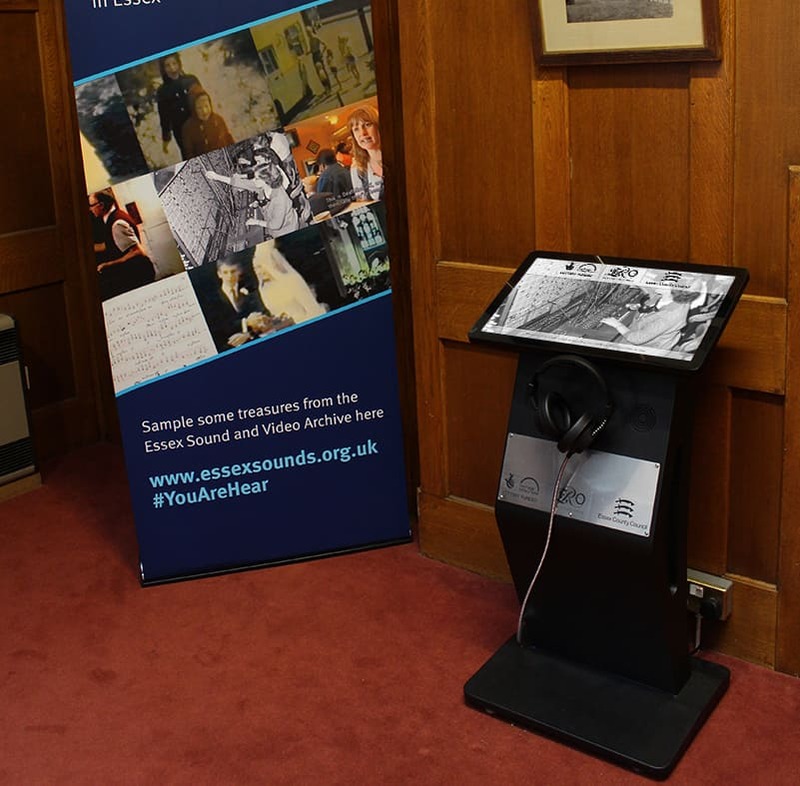 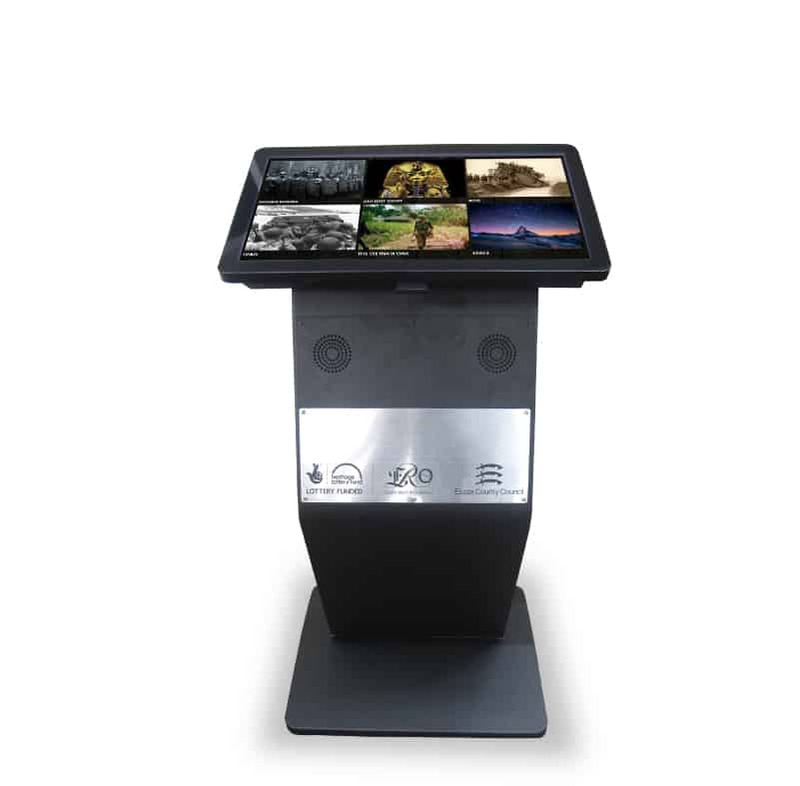 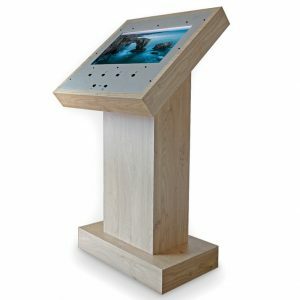 You can buy the Kiosk as a stand alone unit and use the on-board computer and 32″ multi-touch screen with any compatible software of your choice, or you can choose to purchase it along with our Lightbox 3 software which has been specifically designed for museum and heritage application, and takes full advantage of multi-touch screen technology. 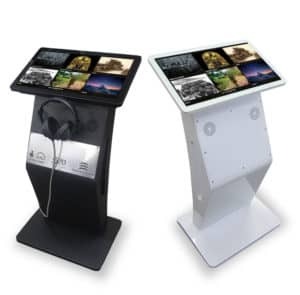 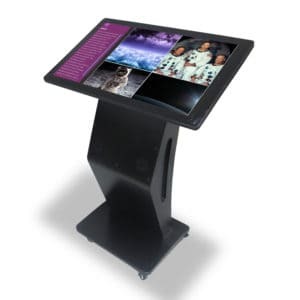 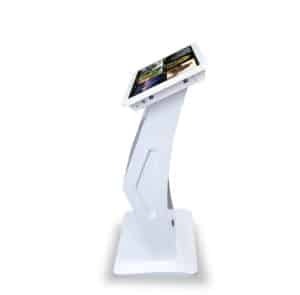 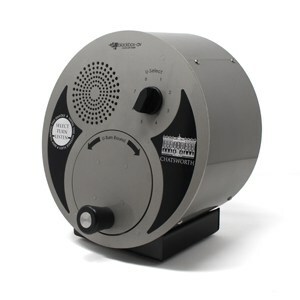 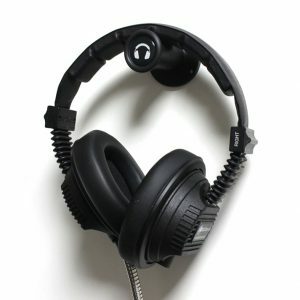 You can buy the Kiosk as a stand alone unit and use the on-board computer and 22″ multi-touch screen with any compatible software of your choice. 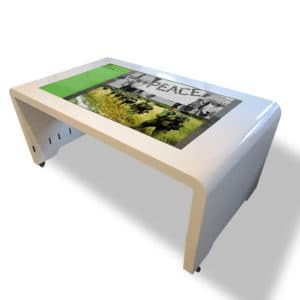 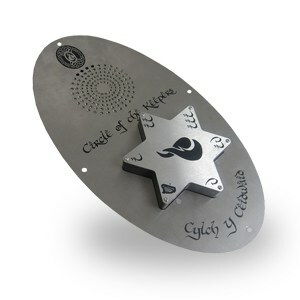 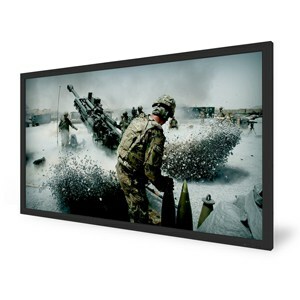 We also offer 2 finish options as standard, white and black however should you want to discuss any other options or the inclusion of a laser etched front panel, please don’t hesitate to contact us at sales@blackboxav.co.uk or on 44 (0)1639 874 100.